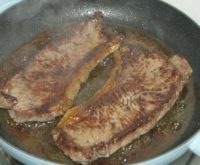 This index page lists all our beef recipes, each with step by step instructions and pictures. Click on any picture to be taken to your chosen recipe. An authentic beef curry from the south of Thailand. The aromatic curry paste is delicious. 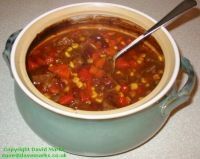 Choose how hot you want your chilli to be and let long cooking blend the flavours to perfection with this delicious chilli con carne recipe. 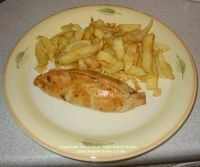 A superb main meal when served warm and less than £1.50 a portion. Use the remaining slices cold as a lunchtime meal. 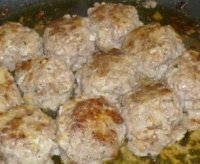 Delicious meatballs every time made easy with step by step instructions. 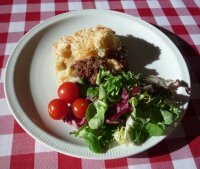 A traditional recipe for the old favourite corned beef hash. 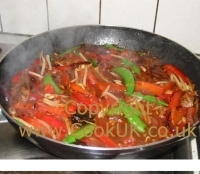 Such warm and comforting food which is a staple dish, ideal for brunch or supper. A delicious and traditional beef stew. 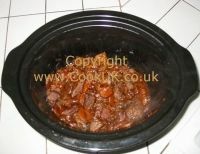 It makes use of cheap stewing steak and our cooking method ensures the most tender beef stew you have ever tasted. Cook a double portion and freeze for a quick meal later on. 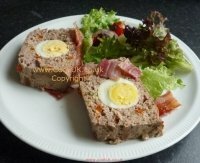 Meat and vegetables with a core of hard boiled eggs. 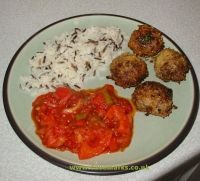 Extremely tasty and one of the most colourful dishes we have cooked. 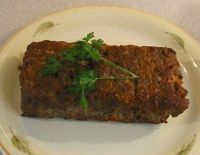 This meatloaf can be enjoyed both hot or cold. 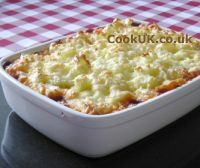 A rich beef filling topped with cheesy mashed potatoes. Our advice and pictures show exactly how to stop the mashed potatoes sinking into the pie for perfect results. 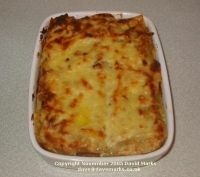 A great British recipe which takes time to cook but we make it easy with lots of pictures and step by step advice. 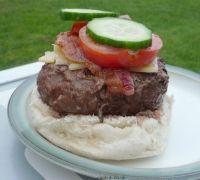 This is a traditional beef burger recipe which is easy to make and produces top results every time. 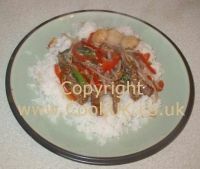 One of the quickest of our beef recipes, this stir fry is also a healthy option if lean beef is used. 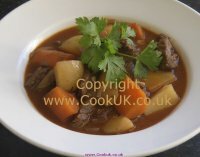 A fruity French Beef Stew Provencal recipe. This can be cooked in a slow cooker or in the oven at a low heat. 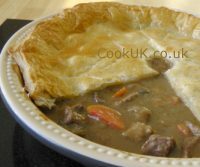 Made with short crust pastry (see the link to our video) this is a self-contained complete meal. It's easy than you think with our easy to follow recipe. Perfect at any time of the year. 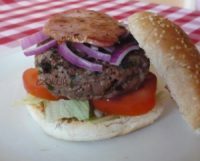 A well seasoned beef burger topped off with a delicious slice of cheese, bacon and salad. 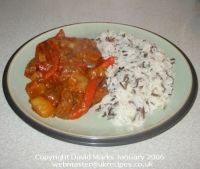 A mild beef curry with raisins and diced apple. The two flavours of curried meat and fruit is truly delicious. This is our version of Hungarian Goulash. It's thicker than the authentic goulash which is really a soup. A very easy recipe because there is almost no preparation. Chop up some of the ingredients, place them in the slow cooker pot in order and cook. A delicious evening meal. This dish will take some time to prepare and cook but it's well worth it. Ten times tastier than the best supermarket version and it contains only natural, healthy ingredients. Beef meatballs with a soft mango centre and crisp cracked wheat coating. A change from your standard meatballs recipe. 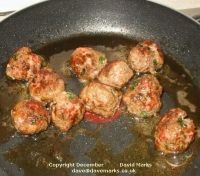 The meatballs are made to a traditional beef recipe. The Dahl sauce is a mixture of red lentils and spices. A great combination. Lots of vegetables and beef in a Mexican sauce make this recipe one to remember. This recipe is very versatile. You can use chicken instead of beef and substitute vegetables. This recipe freezes very well which allows the flavours to mingle even better. Steak smothered with creamy stilton and mushroom sauce. Simple but truly delicious. 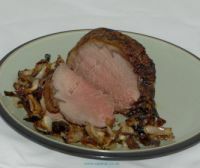 Step by step pictures and advice show you how to make the best roast beef. The key is to seal in the juices before roasting. 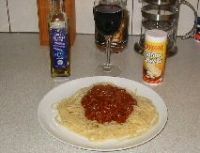 One of the classic Italian dishes, much maligned by the cooking fraternity because it is so popular. Make our home made version and you'll be in culinary heaven. 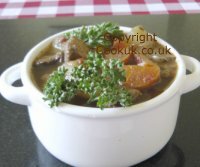 A true British dish with chunky beef, mushrooms, vegetables and a thick gravy. 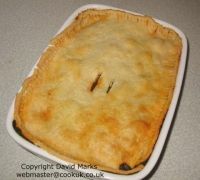 Top that of with crunchy short crust pastry to seal all the flavours in and you have a meal fit for a king. The simple things in life are often the best and this tapas dish proves just that. Beef meatballs marinated in tomato sauce with a few herbs. Lots of typical Thai ingredients are included such as sliced beef, bean sprouts, sesame oil and ground ginger. A taste of the Thai sun in your dining room. The classic steak dish, a good steak served with a red wine sauce. Simple and easy but delicious. Full of flavour, this recipe is also versatile. The beef can be substituted with pork if you fancy. 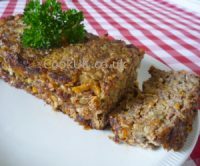 The meatloaf can also be cooked in an enclosed barbecue for a delicious smoked taste. 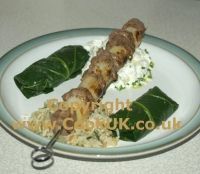 These beef and leek kebabs are simple and quick to cook. Substitute sliced tomatoes for the leek for a change. We explore in detail how to cook the perfect steak. 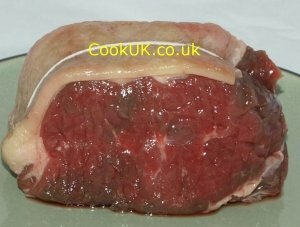 What is the best joint, where to buy it, how to cook it and for how long? We serve it up with a simple Balsamic vinegar sauce. The whole process takes less than 15 minutes. 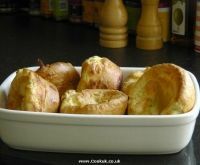 A must with roast beef and great with all other meat roasts.